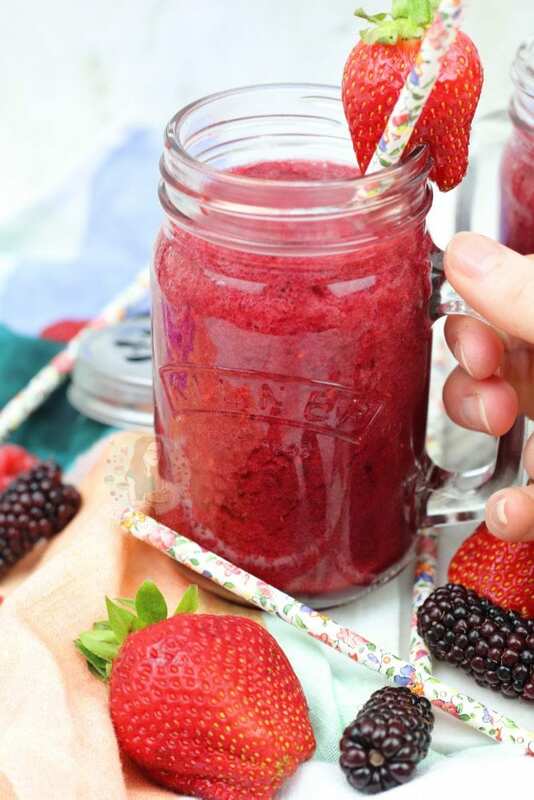 Strawberries, Blackberries, Raspberries & Blueberries all make THE most delicious Summer Berry Smoothie! So as its Summer, there are so many delicious fruits that can be eaten. 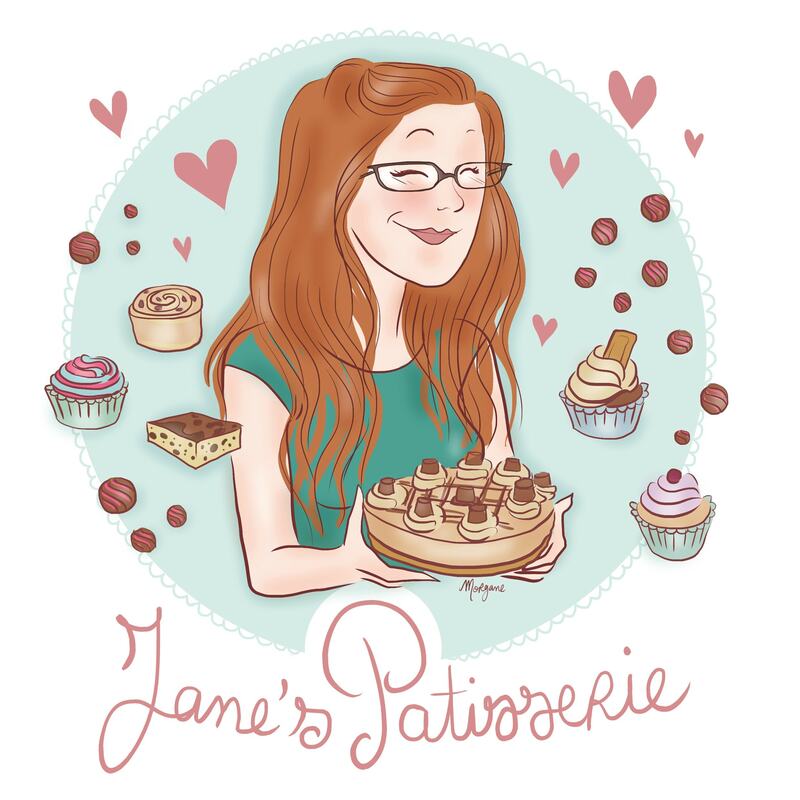 I love my fruity bakes as you can probably tell right now such as my Eton Mess Cake, my Summer Berry Cheesecake, and even my Lemon & Blueberry Cheesecake! 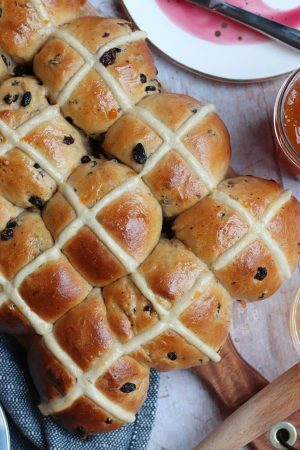 Fruity bakes are delicious and often lighter than anything Chocolatey. However, sometimes, you just want the fruit. Quite often I get requests for healthy recipes, or low fat recipes or anything like that. 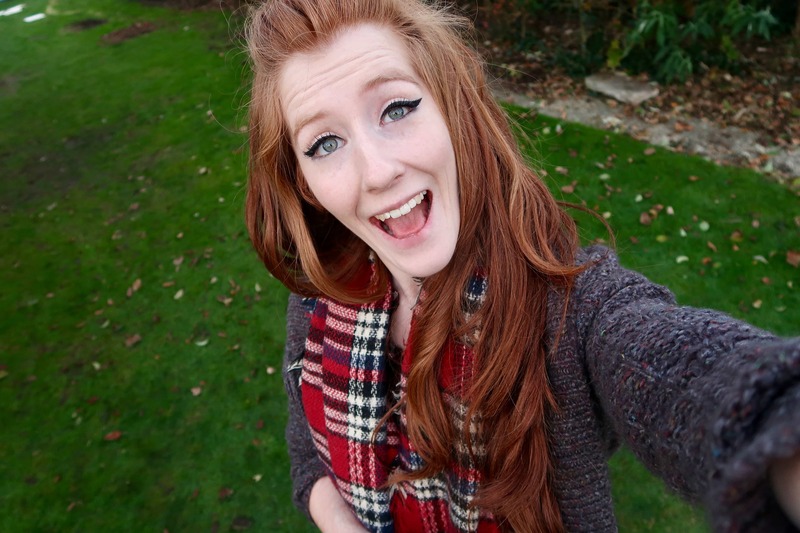 However, I am not the best at low fat or anything, because I like cake. I LOVE CAKE. 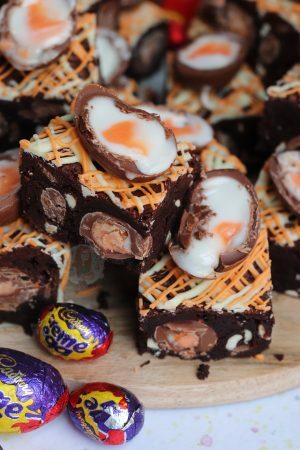 I often find that my most favourite recipes are the most calorific.. but that is genuinely just my taste. On the other hand, even I do like lighter things. Basically this entire paragraph I have been contradicting myself. I have been looking into expanding my blog in a way, and one of those ways would be more Drinks recipes. I want to do Savoury posts as well, but thats for another day. I want to do drinks that are alcoholic, cold, and hot, and everything I love. And one of those things, is a smoothie I get from one of my favourite local cafes. They call it the Beachside Smoothie as its literally a cafe on the beach, and its a mix of Raspberries, Blackberries and Strawberries and you can get it mixed with Apple Juice or Water. 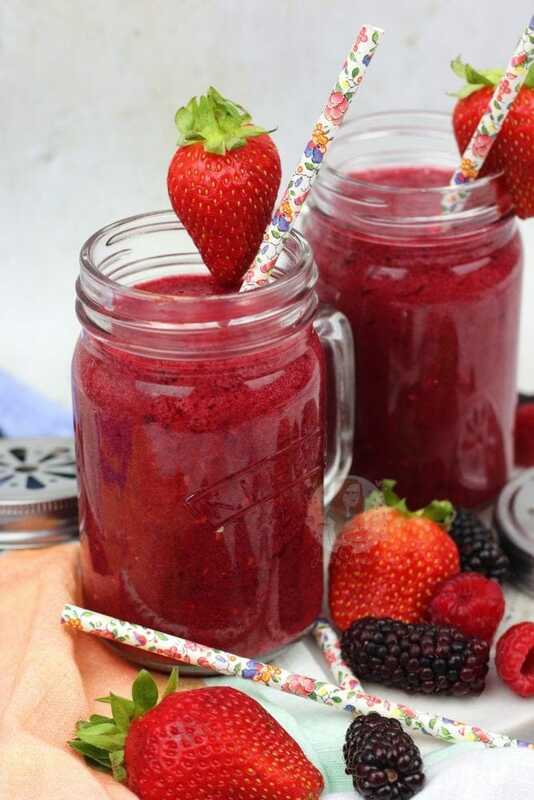 Ever since discovering it I have had it every time I go, because they just get the blend of berries absolutely perfect and its so refreshing! I wanted to recreate this beauty for my blog, and I am obsessed. 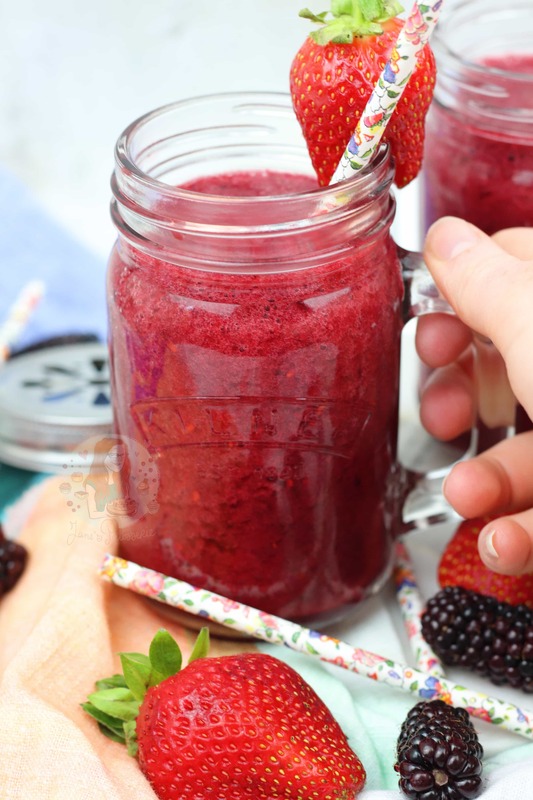 I did change it by adding in blueberries, but that is because I had them in the fridge when I made this smoothie for the 10th time at home, and I just loved it even more! I found that equal measurements of the berries was best because then you get all the flavours in one! And I prefer mixing the smoothie with the Apple Juice, but thats also my taste. You can use water, or even milk if you prefer! I used Fresh Berries as I believe thats what they use at the cafe. I could be wrong, but I like the temperature from the chilled berries, and chilled juice. You can easily use frozen berries, notes on that below! I just utterly adore the fresh taste, and its also quite filling. It’s something you can easily have for breakfast, as technically its just fruit! You can either eat them, or drink them. Obviously, it makes more than one smoothie though, so you’ll have plenty to drink! This is my first recipe of this kind on my blog, so I hope you guys don’t mind. I utterly adore drinks like this when they don’t contain Banana as I can’t consume that, and when I’m not craving a hot chocolate. 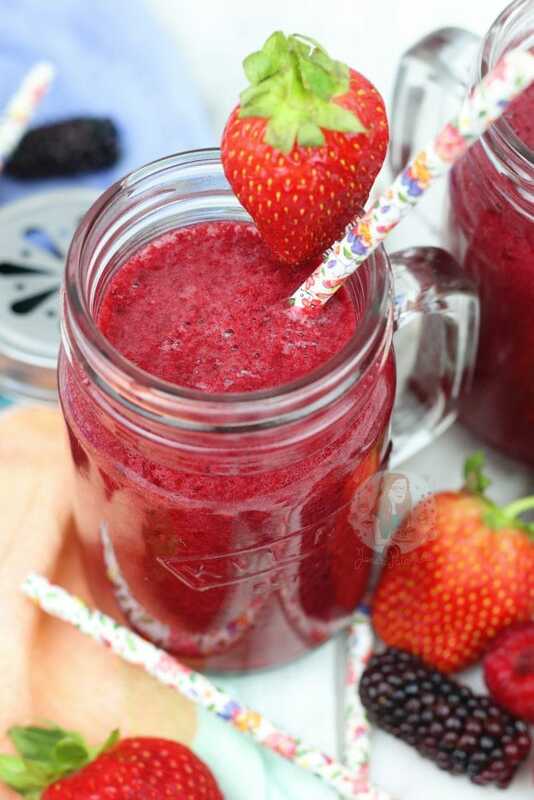 When its a hot summers day and you want something fresh, a Summer Berry Smoothie is the best choice. Prepare your berries by washing them thoroughly and patting them dry. Chop the tops of your strawberries off and halve them if they're large to make things easier. 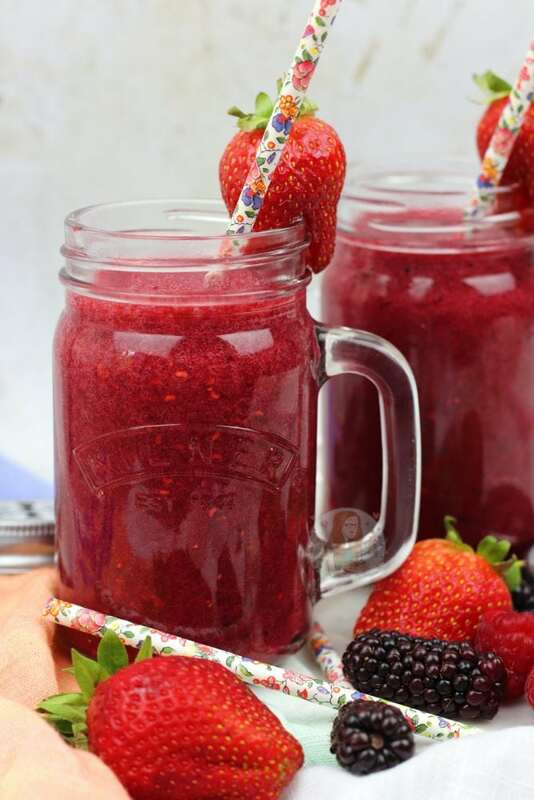 Add the berries to a blender, and add your apple juice. Add 200ml and then blitz, and add more as you go to get your desired thickness. Once blitzed and smooth, pass through a sieve if you don't want lumps, but I just pour it into my Kilner Jars and drank it! I used the cute Kilner Jars in the photos, and the recipe comfortably filled three of them. Obviously, the more juice you add, the more in volume you'll get. 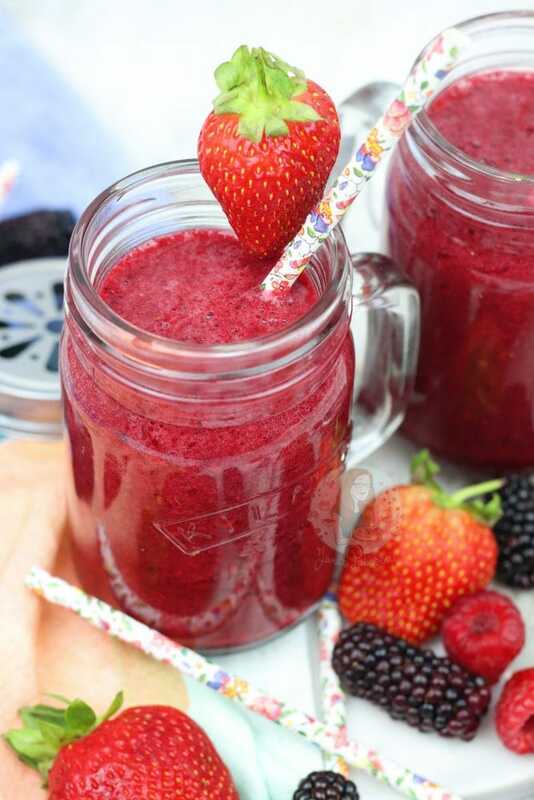 I used fresh berries and not frozen, so it was a lovely smoothie. 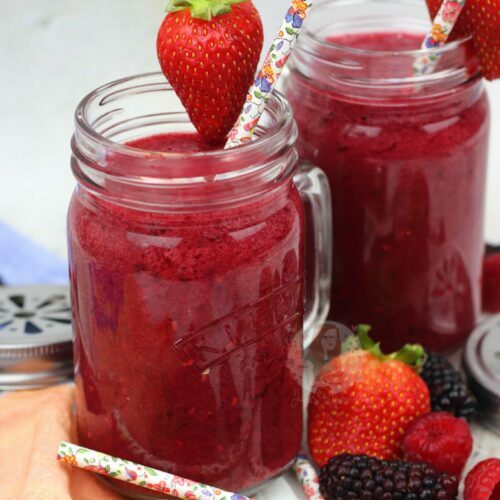 However, you can easily have an amazing chilled smoothie by using frozen berries! You might just need to add more liquid. You can add water instead of Apple Juice if you wish, or any other liquid. You can use any berry in reality, but obviously the taste will vary. You can even just use 200g of Strawberries, and 200g of Raspberries etc. Or all Raspberries! 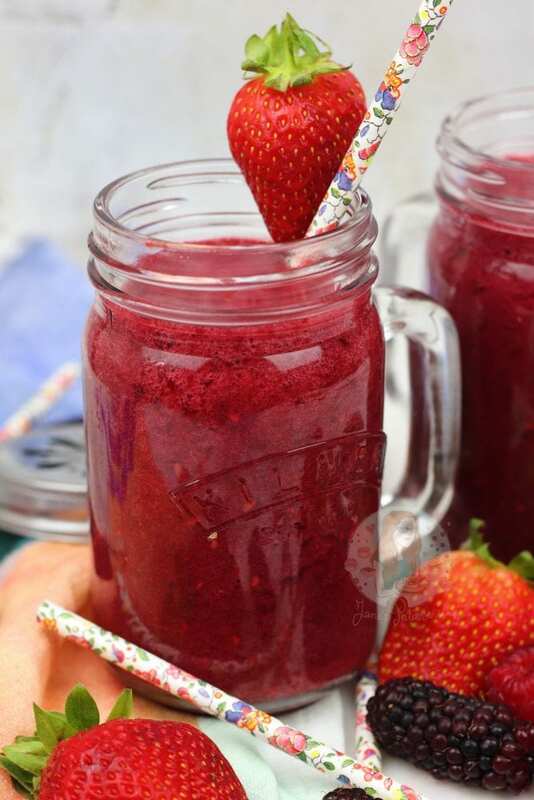 Find my other Summer Berry Recipes on my Recipes Page! 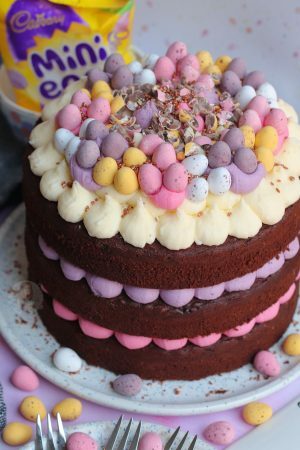 Older Next post: Neapolitan Cake!